Many of us have spent time in the White Mountains sitting by a waterfall and enjoying the view. 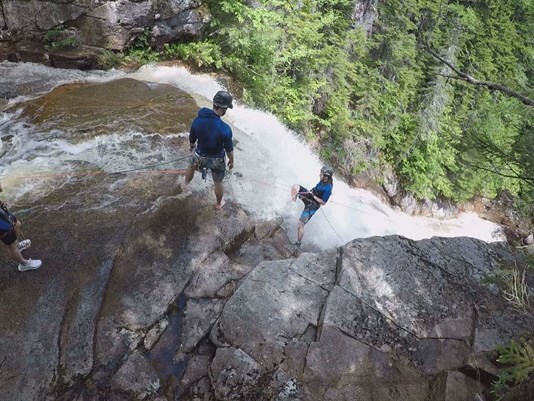 But for some thrill-seeking visitors to Ripley Falls in Crawford Notch State Park, simply sitting idly by and watching the water go by isn’t enough. They wanna walk down those waterfalls. And Northeast Mountaineering is helping.